DENVER — More than 350 members and friends of the Colorado Farm Bureau gathered to celebrate the organization’s 100th annual meeting on Nov. 16-18 at the Renaissance Denver Stapleton Hotel. This year included a special celebration of the 100th meeting and kick-off to a year-long celebration for the organization’s centennial. “The agriculture community and rural Colorado have endured devastating fires, hail and other disasters, free-falling farm and ranch income, opioid addiction and depressed economic growth. With the midterm elections over, this year provides a new opportunity to regroup and come together as the state’s second-largest industry to move agriculture forward,” Shawcroft said. During the meeting, Colorado Farm Bureau awarded the Service to Ag Awards to an individual inside and outside the organization. CFB president Donald Shawcroft (inside) and Lisa Drake (outside), formerly of Monsanto, were the award recipients. The Colorado Farm Bureau Annual Meeting is an important part of the organization’s role as the state’s leading voice in agriculture. An important activity conducted during the annual meeting is the review of current policies, as well as the addition of new policies by the voting delegates. 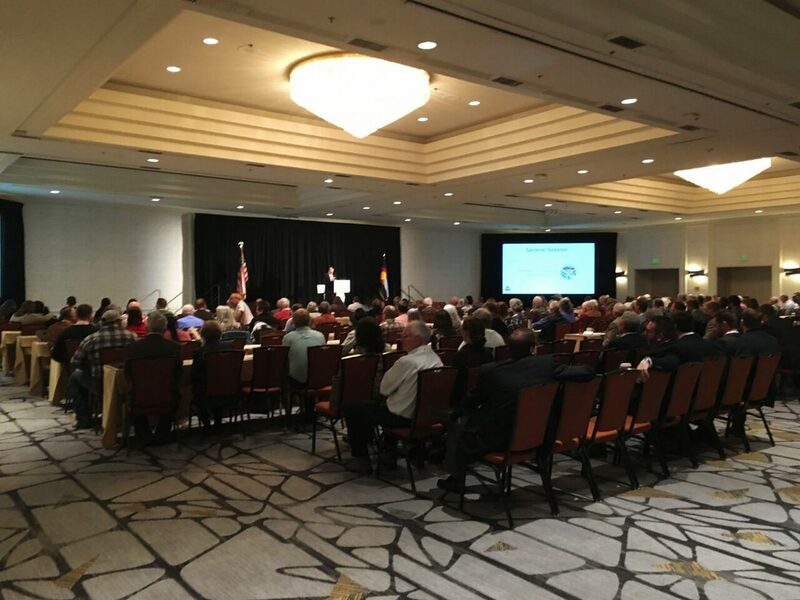 The policies adopted by Colorado Farm Bureau delegates originate at the grassroots level and define the organization’s position on a variety of issues including land use, water, wildlife, broadband, farm programs, and machinery software, just to name a few.